See what I mean? 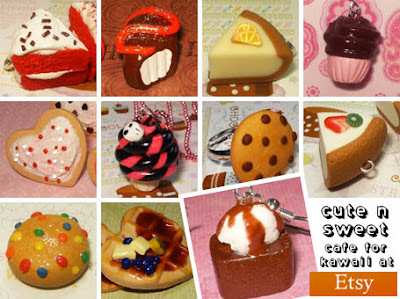 These tasty treats can be found at the Cute N Sweet Café over at Etsy, and are the perfect gift for junk food fanatics everywhere. Junk food jewellery fanatics, that is! With everything from cupcake necklaces and chessecake charms to lollipop earrings and ice cream rings, the Cute N Sweet Café is living proof that you can have your cake and eat it. And wear it too!